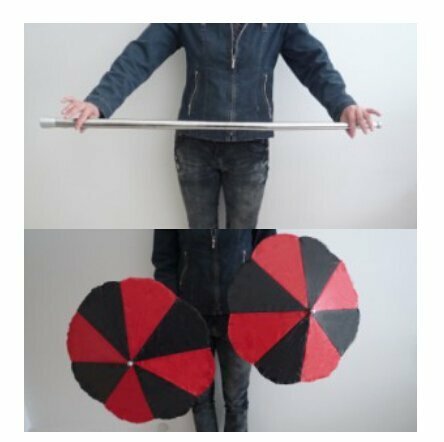 Product Description; Wand into Two Umbrellas; This is a truly impressive magic trick at a lightning speed.The magician is rotating a wand in his hand as he enters the stage. Suddenly the wand changes into two umbrellas. Very quick, unexpected, and visually impressive, thats the "Wand Into Two Umbrellas", for you in a nutshell, add the word "automatic" to that and youll understand straight away the winning formula behind this engaging trick.